Step into the suave shoes of any character using our Character Moustaches. 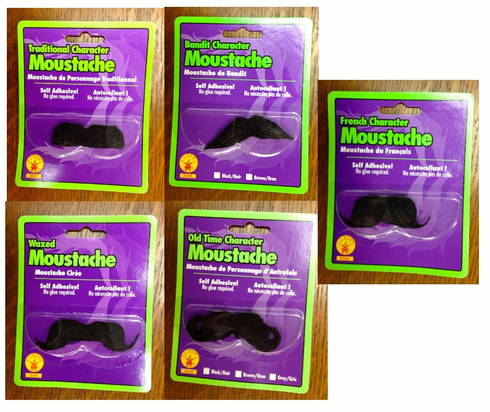 This fake mustache costume accessory is made of black synthetic hair for a realistic look. This fake costume mustache has an adhesive back for quick application and removal. It can be applied to the face using spirit gum for a secure and seamless appearance. Remover is recommended so you can re-use it again. The costume facial hair is great for plays and productions since it allows for a quick character change. One size fits most adults. Assorted styles.